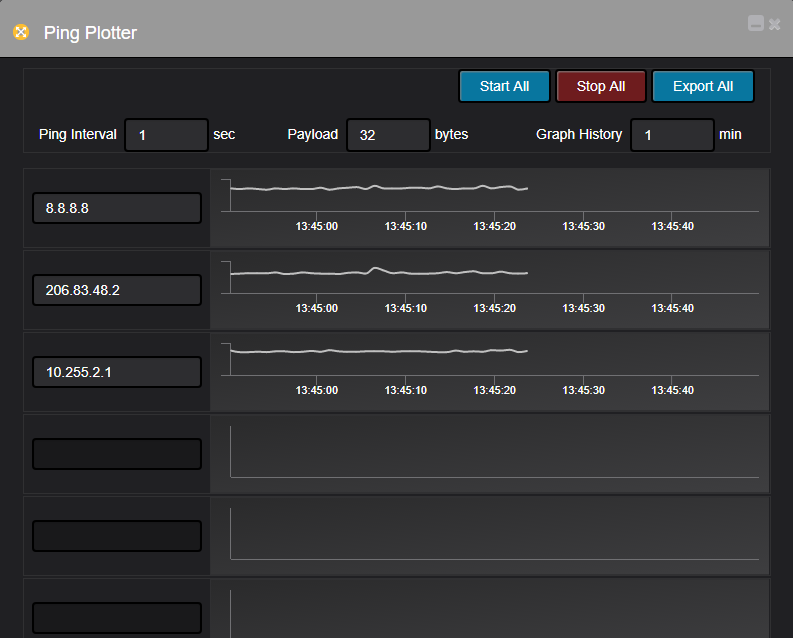 Starting from Nectus version 1.2.6 Ping plotter functionality was added to a Toolset located in “Tools” main menu. Specify up to 10 IP address and track latency and availability in real time. Export metrics to a CSV file with 1 second resolution. Why my devices are in “All CDP Devices” category only? How to create a Command Script?